Trading bullish divergence and bearish convergence is a technique of interpreting the oscillator indicators, that increases the effectiveness of interpretation of oscillator indicators. I specially love this technique, and always look for the bullish divergence and bearish convergence. 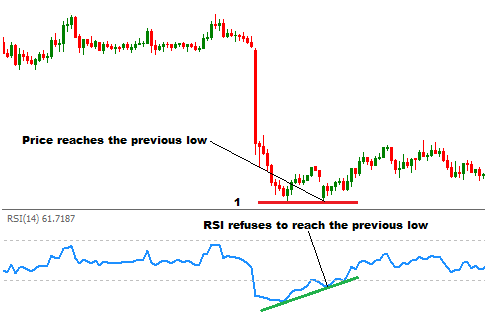 This post explains different situations of bullish divergence and bearish convergence with RSI indicator. Bullish divergences are found in bullish market, and suggest short entries. 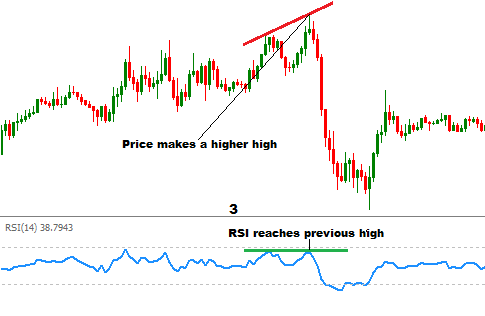 When price moves higher but RSI refuses to go higher, bullish divergence situations appear. In the above image three bullish divergences are explained. In the image bellow, a bullish divergence is illustrated, where the price reaches the previous high but RSI did not. Here the RSI refuses to move to the previous high. 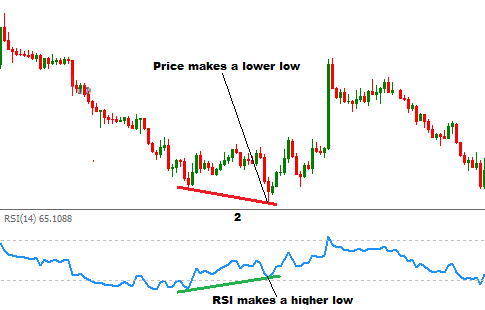 In the bullish divergence situation illustrated below, price makes a higher high, but RSI makes a lower high. 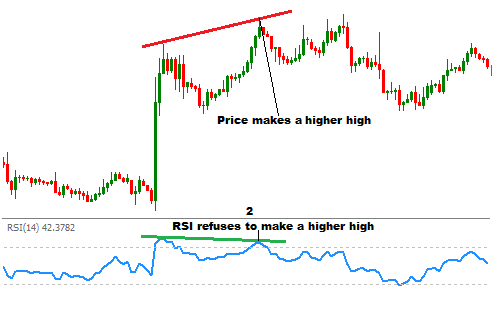 In the bullish divergence situation illustrated below, price makes a higher high, but RSI reaches the previous high. Bearish convergences appear when the price moves lower but the RSI refuses to go lower. Bearish convergences suggest long entries. In the illustration below, three bearish convergences are shown. Above illustrated three bearish convergences are explained on price chart. In the bearish convergence situation illustrated below, price reaches the previous low but RSI moves higher than the previous low. In the bearish convergence situation illustrated below, price makes a lower low but RSI makes a higher low. In the bearish convergence illustrated below, price makes a lower low but RSI refuses to make a lower low. These are the most common bullish divergences and bearish convergences found with RSI indicator. 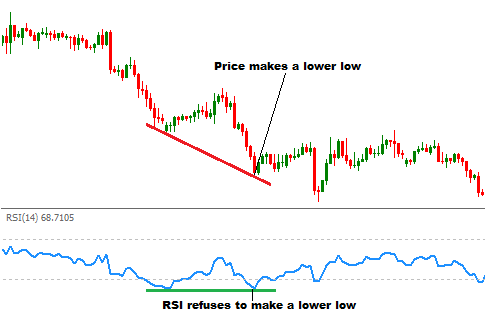 Bullish divergences and bearish convergences are found when the movements of price and RSI indicator are opposite. 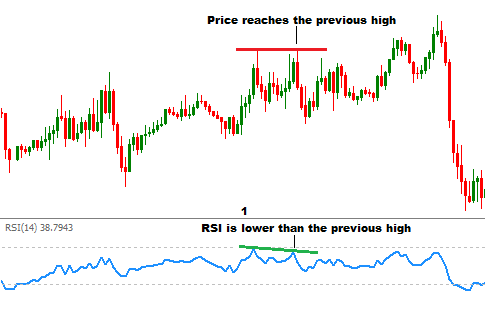 If you have any questions regarding trading the bullish divergences and bearish convergences with RSI, you can drop a comment below. You can also subscribe yourFXguide to receive updates right into your inbox.